MARCO is a great concept. It floats well and is made of a soft rubber material.I wish MARCO was a bit brighter. You can only get the full effect of the changing lights, by turning the main lights in the room off. We have also had trouble with MARCO not turning off even after being out of the water for some time. MARCO is a great concept. It floats well and is made of a soft rubber material. I wish MARCO was a bit brighter. You can only get the full effect of the changing lights, by turning the main lights in the room off. We have also had trouble with MARCO not turning off even after being out of the water for some time. My daughter is 2 and enjoys bath time. She has loved the addition of Marco. She plays with him near nightly in her bath and always asks for the light off to do so! He lights the tub water and sometimes she plays directly with him but usually she wants him to simply light the water while she plays, laying on her belly, in the water with her other (mostly) boon toys. She now prefers her bath times completely in the dark. :-)My only hang up is that it takes hours for him to turn off. He does not turn off when the water is drained. I often find him still glowing 12+ hrs later, the next morning. It's only been a few weeks so I can't say how this will effect the batteries. It just seems weird that he is supposed to work only in water (a gimmick I sold my daughter when we opened the package and she wanted to take him everywhere with her). My daughter is 2 and enjoys bath time. She has loved the addition of Marco. She plays with him near nightly in her bath and always asks for the light off to do so! He lights the tub water and sometimes she plays directly with him but usually she wants him to simply light the water while she plays, laying on her belly, in the water with her other (mostly) boon toys. My only hang up is that it takes hours for him to turn off. He does not turn off when the water is drained. I often find him still glowing 12+ hrs later, the next morning. It's only been a few weeks so I can't say how this will effect the batteries. It just seems weird that he is supposed to work only in water (a gimmick I sold my daughter when we opened the package and she wanted to take him everywhere with her). Fun and Helps Teach Colors! The BOON MARCO scuba bath toy is wonderful. My son has so much fun playing in the tub with it and searching for his whales and other toys using MARCO. The color changing is also educational as my son always announces when a new color appears! I'd recommend this toy for anyone who let's their child play in the bath!! The BOON MARCO scuba bath toy is wonderful. My son has so much fun playing in the tub with it and searching for his whales and other toys using MARCO. The color changing is also educational as my son always announces when a new color appears! I'd recommend this toy for anyone who lets their child play in the bath!! The boon Marco makes bath time more fun. My daughter loves to make up stories of his adventures. The color changing lights are especially fun. 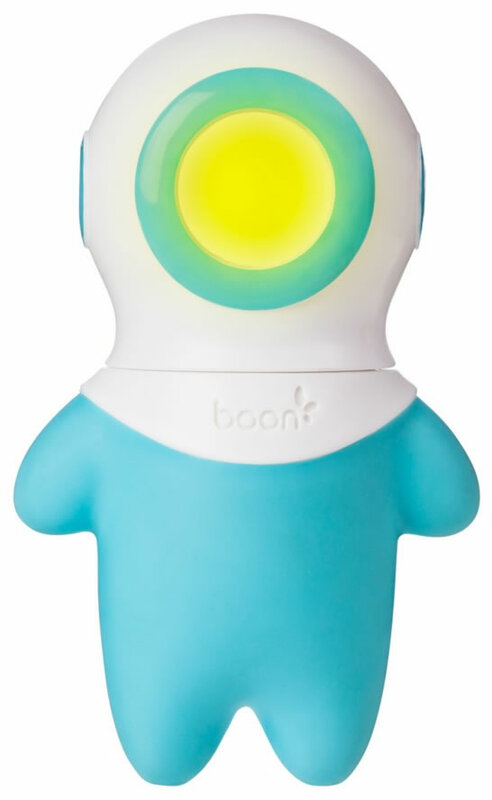 We love Boon and this product lives up to our expectations of quality and enjoyment. Unfortunately this products did not work at all when it arrived. It did not float up and down and it did not light up at all. My children lost interest in it very quickly since it was not functioning correctly. My children love this toy! It has made bathtime so much more exciting watching the colors change as he moves around. The Marco bath toy is such a fun toy! My 2.5 year old loved watching it change color. It floats and in order for it to change color it has to be touching water which is neat. My daughter loves naming each color it changes to and as a parent I love any toy that allow my child to learn as well as have lots of fun at the same time! Overall this is a great bath toy, it would have been cool if it also played music but oh well haha. Marco is a great toy for bath time. He floats along with fun colors and is very durable. My kids love tossing him in the water and submerging him while looking for his colors. Definitely a favorite! 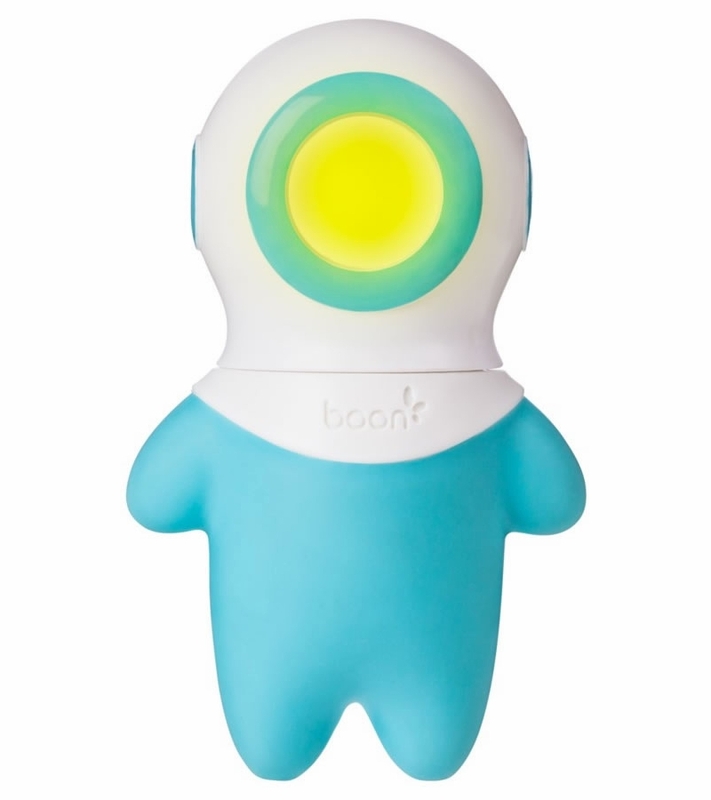 There isn't a Boon product yet that we haven't absolutely loved! My 2 year old daughter loves taking baths with her new friend, Marco! 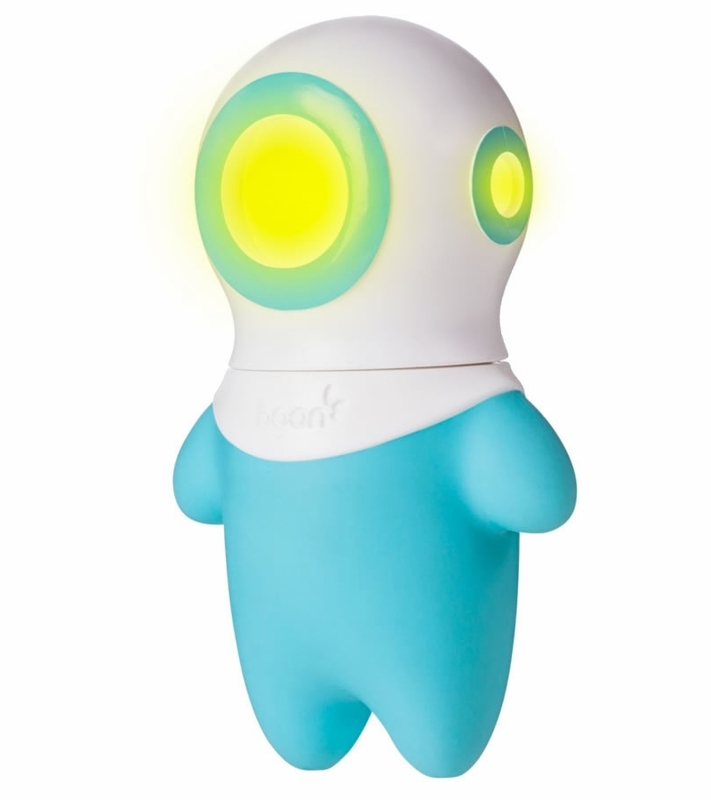 He is super cute and lights up and changes colors as he floats around the tub. I would highly recommend Marco! My daughter had a blast playing with this! It is very cute and kept her entertained for quite a while. She even let me wash her hair without struggling while she played with this toy! Boon has not disappointed me yet! Our 2 1/2 year old Loves this little diver to go on deep sea missions with in the tub!